Shiraz is one of the historical cities of Iran. This beautiful city had different gates and entranceways such as Quran Gate, Saadi Gate, Isfahan Gate, Kazerun Gate, Qasabkhane Gate, and Shahdai Allag Gate. Among these gates, Quran Gate, left from old Shiraz, is one of the historical attractions of Shiraz. This monument was also called Taq Quran. Quran Gate is located between Baba Kouhi and Chehel Magham Mountains in the northeastern part of the city on the way to Isfahan. Travelers entering Shiraz from that point can visit the beautiful and unique structure of the Quran Gate. Quran Gate first was built when Buyid Dynasty ruled over Iran and Iraq. Among the Buyid’s emperors, Azad al-Dawla was the most famous king. He was Persian King in 369 AH. His throne was in Shiraz. A lot of structures and buildings were constructed in Shiraz by his order one of which is Quran Gate offering a special view to Shiraz. Quran Gate owns its life to Azad al-Dawla who commanded to put a Quran (Muslims’ holy book) on the top of the gate where people pass under it. Therefore, people could complete their journey safely by receiving the blessing of Quran as God will keep an eye on them and he will be taking care of travelers. It is one of the Iranian belief and part of their culture. The Iranian architects built a small room on the top of the gate to preserve a hand-written Quran on it. The Quran is famous as “Hefdah-Man Quran” (literally means a Quran weighting 51 kg). 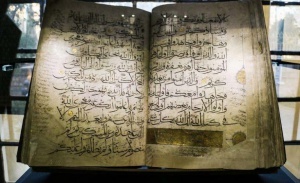 This Quran is kept in Pars Museum now. During Qajar dynasty, Quran Gate was damaged mostly by earthquakes. 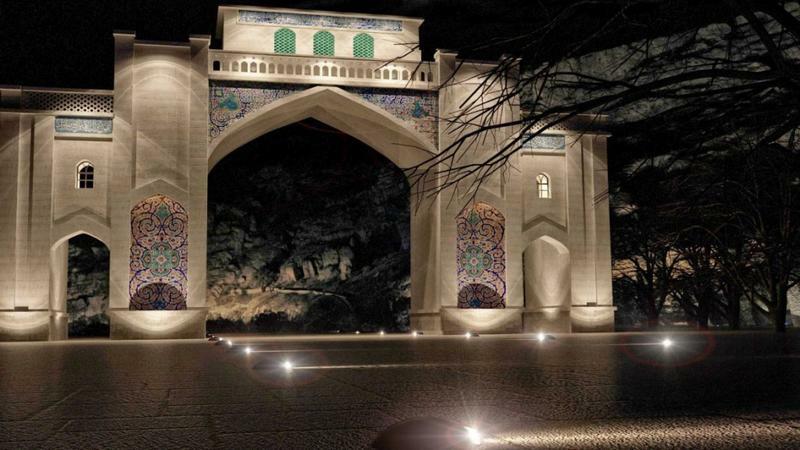 During Zand dynasty, Karim Khan Zand, the founder of dynasty and ruler of Iran, ordered to rebuild Quran Gate. Unfortunately, municipality officials commended to destroy Quran Gate in 1936. 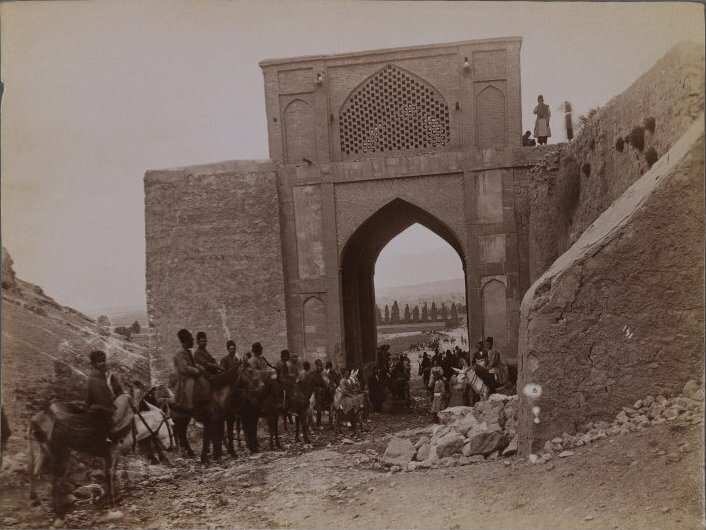 They believed it is a barrier for north-eastern development of Shiraz. However, it was rebuilt again in 1948 by a famous merchants known as Etemad al-Tajar. 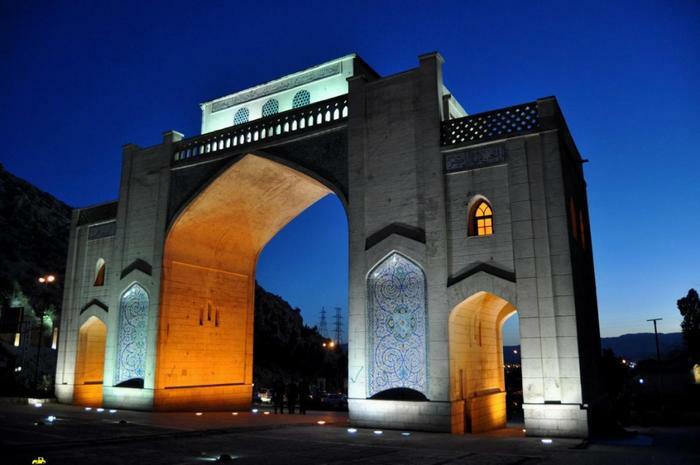 Today, Quran Gate is considered as one of the most visited attraction of Shiraz. The existence of this structure along with its environment created a beautiful entrance for Shiraz, the Cultural Capital of Iran. Kkajou Kermani Tomb and a beautiful park designed around it are certainly one of the most eye-catching attractions around the gate. 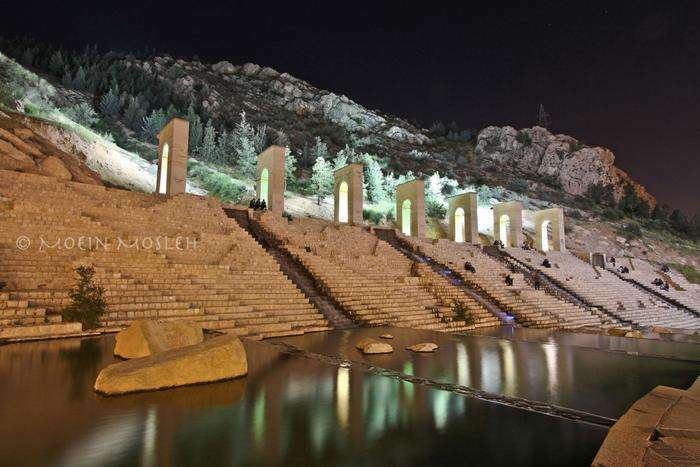 They are located on top of the site in the heart of the mountain creating a fantastic view for Shiraz entrance. Khajou Kermani born in Kerman, Iran was a great poet and Sufi mystic living in 13th century. He died in Shiraz and was buried next to Quran Gate. 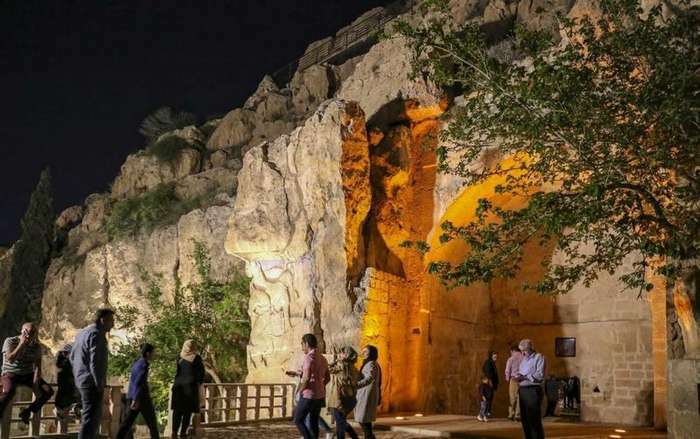 The musical waterfall and the stone structure of the park, which allows you to view Shiraz from the high mountain, along with its green landscape add to the beauty of the Gate. There are also three caves near Khajou tomb where his devotees had prayed. 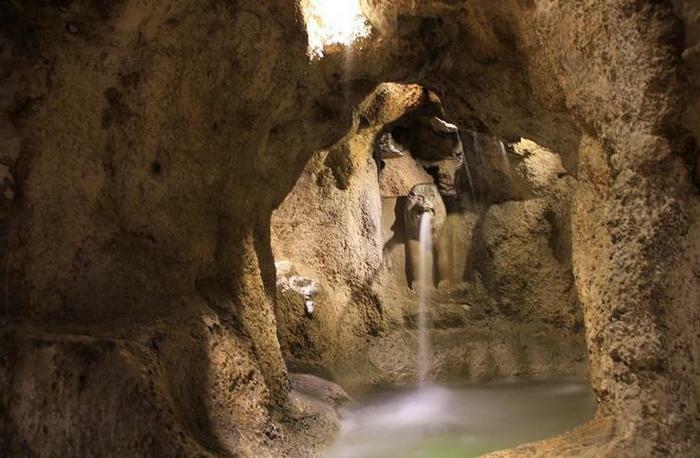 In one of this cave, there is a fantastic pool and the statue of a lion from his mouth the water drains out and enters the pool through a waterway. 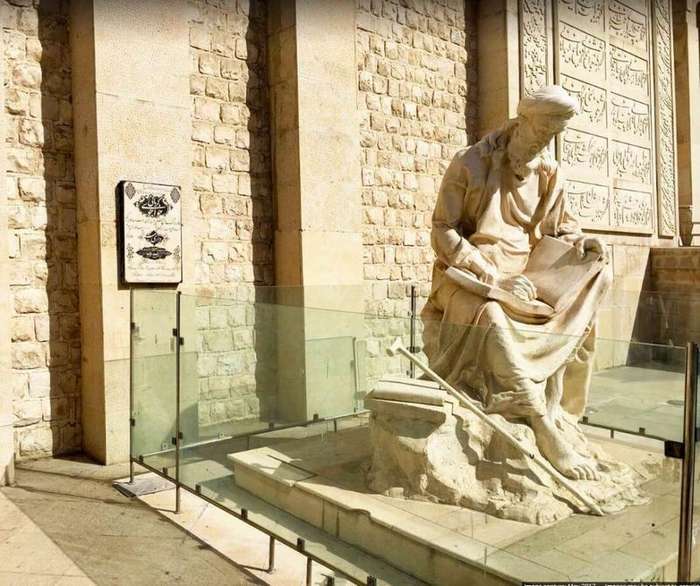 In front of the cave, there is another tomb which belongs to Khajou Emad al-Din Mahmoud Kermani, the minister of Injuids dynasty. There is also a rock carving showing the war of Rostam and a lion (a Persian hero) and an incomplete carving devoted to Fathali Shah Qajar (Qajar King) and two of his sons. On the other side of Khajou attraction, you can find Gahvare Did (literally Cradle of Sight) a dome built by Azad al-Dawla. 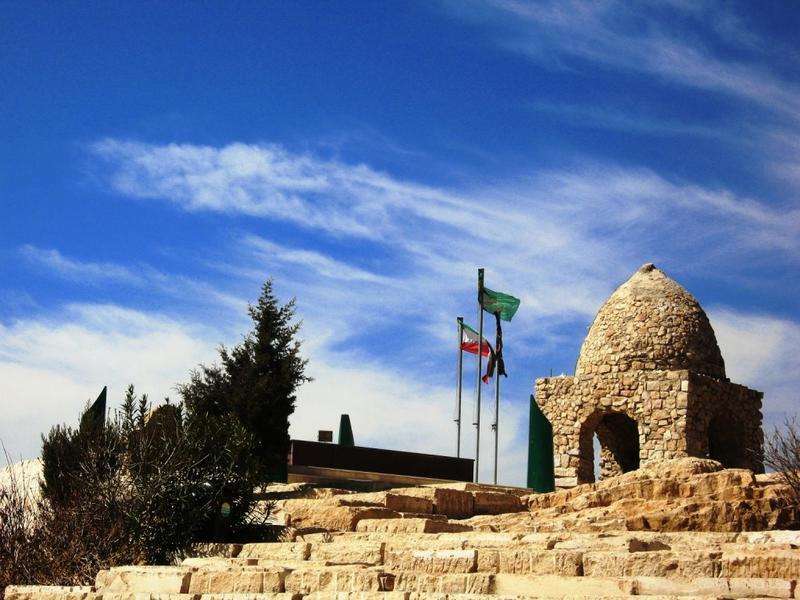 After constructing Quran Gate, he constructed this place on the summit of the east mountain to accommodate watchmen and soldiers guarding the entrance to Shiraz. Indeed, this cradle was a watchtower from there the important news was sent to other places. The watchmen used mirror (reflecting lights), fire, and horn to send instant messages to other towers. There are four windows around this cradle from where you can see the whole city of Shiraz. In this side, you can also find a terraced place where you can sit, enjoy the sound and coolness of water and look at beautiful Quran Gate and Khaju park. Iran Sun World, as an Iranian Travel Agency, provides you all kinds of services. 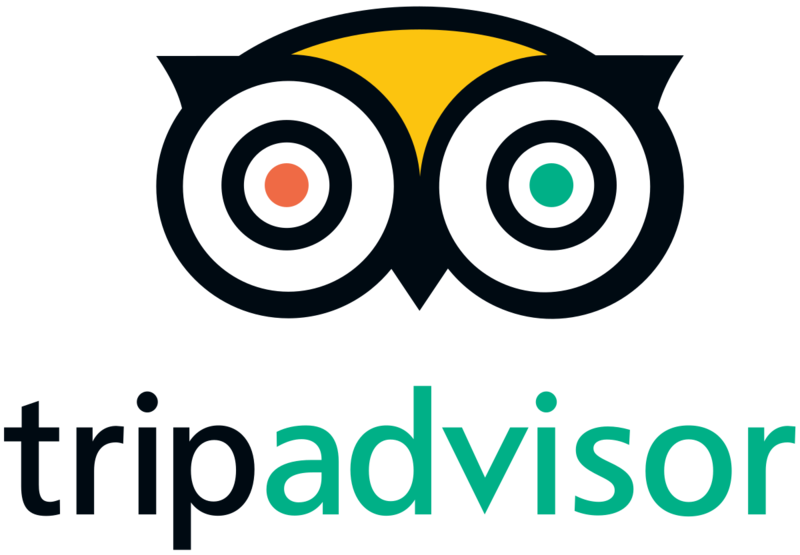 We offer you best tours of Shiraz and Iran. Do not hesitate to contact us!